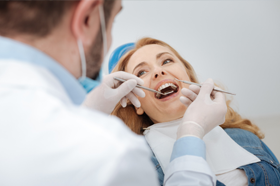 At the Asheville dentistry practice of John White, DDS, we are happy to offer a wide range of preventive, restorative, and cosmetic dental care. We also offer endodontic treatment. These advanced treatments can significantly relieve toothache pain and sensitivity and save a tooth from being extracted. Call our team to find out more or schedule an appointment. If you’ve never heard the word “endodontics,” you’re in good company. While many dental patients will never hear this word, they’ve likely heard of some of the treatments involved like root canals. The word endodontics is actually a compound composed of two words – “endo” meaning inside and “odont” meaning tooth. Endodontics is one of the nine specialty fields within dentistry, and it focuses on the health and treatment of oral health concerns that affect the inside of the tooth. Root canal therapy – nonsurgical treatment to remove damaged pulp and nerve tissue from inside the tooth. Then, the pulp is replaced, repairing the tooth to full function. Pulpotomy – the removal of pulp and nerve from primary teeth to allow kids to maintain their baby tooth until it comes out naturally. 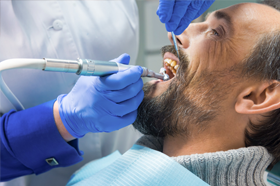 Endodontic retreatment – when a root canal fails, we may be able to save your tooth with surgical endodontic retreatment. We make a small incision in the gum tissue. Then, we remove a small bit of the tip of a tooth root to extract the damaged pulp and nerve system. 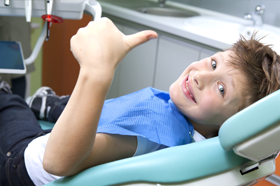 Why Should I Visit Dr. White for Endodontic Care? The pulp layers of teeth house the entire nerve system of the tooth. 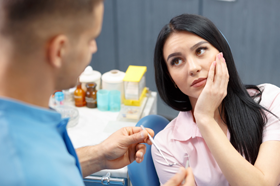 When damage or decay accesses the nerve, the result can be serious pain or sensitivity, but following endodontic therapy, patients typically feel immediately better. You may have some discomfort or swelling for the first two days following treatment, but if this pain and inflammation continue or worsen, call us right away. You may be in need of retreatment.